From the #1 New York Times bestselling authors of An Invisible Thread comes the true, heartfelt, and extraordinary story of how one woman’s decision to help a boy on the street changed both of their lives forever. 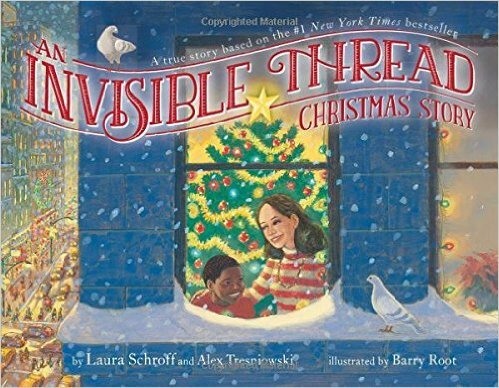 New York Times bestselling author Laura Schroff tells the remarkable story of her lifelong friendship with a boy named Maurice who she met on the street while he was asking for change in her book, An Invisible Thread. Now, in this sweet picture book, Laura retells the first Christmas that she and Maurice spent together. She shares how Maurice gave her a small white bear and, as she later learns, the only thing he had that he could truly call his own—to show her how grateful he was for their friendship. This heartwarming tale captures the true meaning of the holidays and will be one you’ll want to share with your family year after year as a reminder that a gift from the heart is always the best present under the tree.